The Gullwing 2+2 Concept is an all electric car vision of what Mercedes-Benz car could look like in the future. Named for its 6-meter length, the Mercedes-Maybach 6 is totally electric, with a huge battery pack located along the bottom of the car. The motor can make 750 hp, Zero to 60 in 4 secs. This car is meant to be driven. 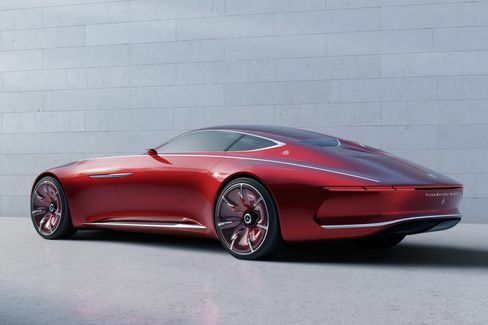 “This is a car you want to drive yourself,” Gorden Wagener, the Daimler AG head of design, told attendees at the car’s debut held on the lawn of the famous Pebble Beach Resort. Mercedes executives said the design is meant to evoke emotion intelligence, hot passion and cool rationality. The car has spacious seating for 4 with polished wood accents. Executives say it can charge to a range of 62 miles in 5 mins, on the fast charger. This is the latest product unveiled since Mercedes brought back the Daimler-owned Maybach luxury car line. 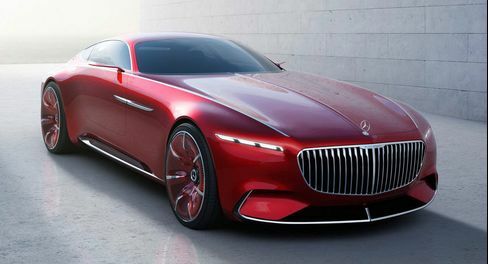 Mercedes executives did not comment on if/when, they might produce the Mercedes-Maybach 6, but they did picked the right time and place to introduce the car. The Pebble Beach Concours d’Elegance, America’s premier auto event which showcases the most beautiful and expensive cars ever starts Sunday.